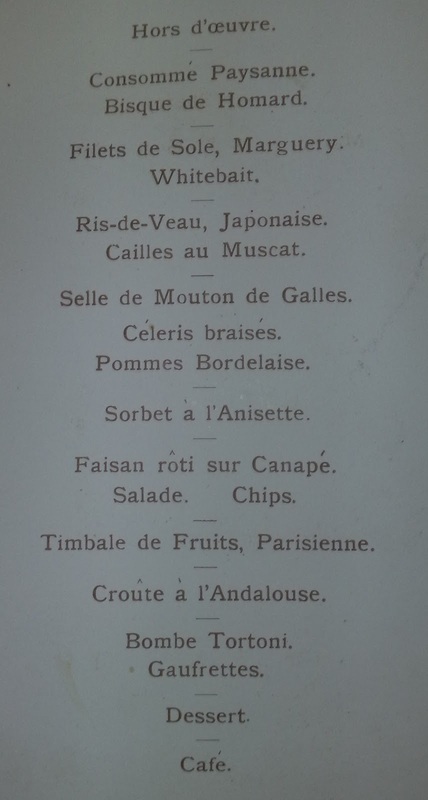 Ramblings of a Deltiologist: Ever wondered what mountaineers had for dinner in 1911? 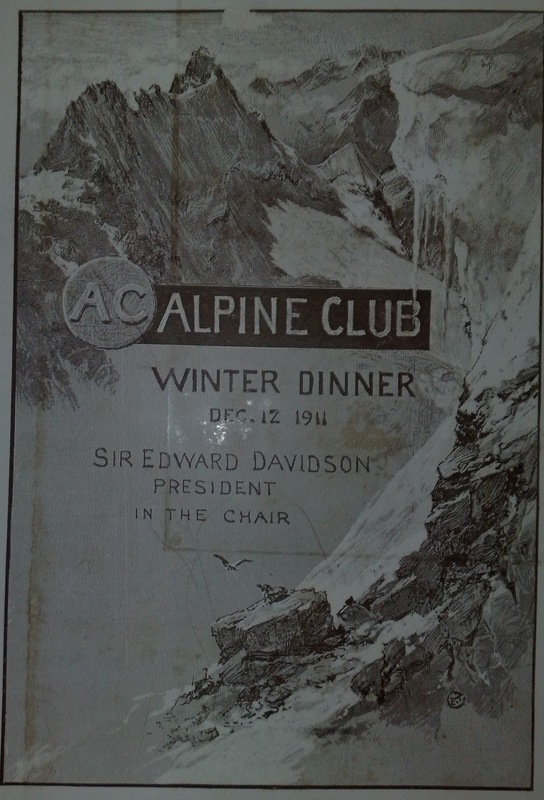 Ever wondered what mountaineers had for dinner in 1911? A few weeks ago I drove for about 90 minutes to buy an Alpine Club menu from 1911. 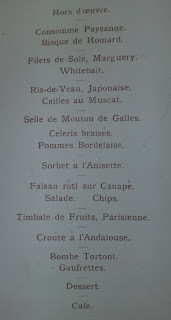 I am now the proud owner of this menu and a seating plan from another dinner (I will post the latter soon). This gentlemen's club was created in 1857 and was described as "a club of English gentlemen devoted to mountaineering, first of all in the Alps, members of which have successfully addressed themselves to attempts of the kind on loftier mountains." (The Nuttall Encyclopaedia 1907). Ivor Richards (see other posts) was a member and Dorothy Pilley (see other posts) was a member of the breakaway version for girls called The Ladies Alpine Club (more to come on this in the future). Anyway, I thought you might be interested in knowing what this group of mountain climbers consumed on December 12th 1911. I think they would have needed to go on a jolly long hike to burn off the calorie content of this supper!